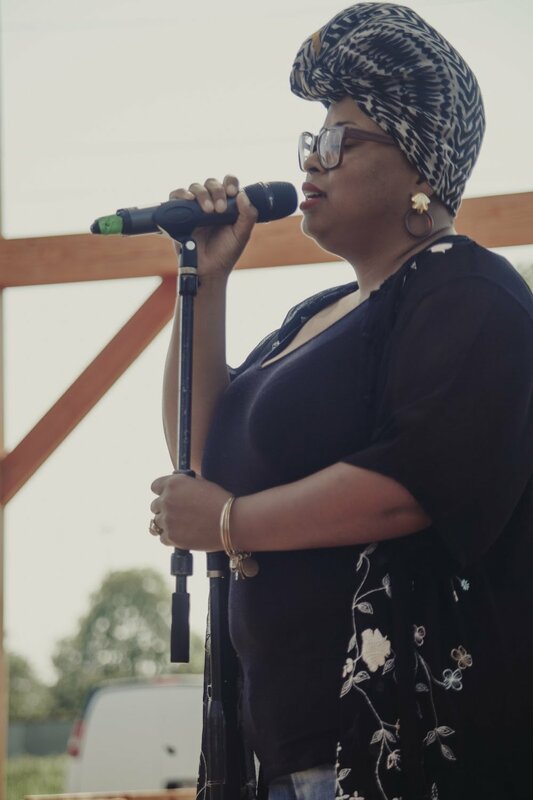 On June 16, 2018, Sweet Water Foundation hosted the First Annual Juneteenth Celebration @ the Commons. 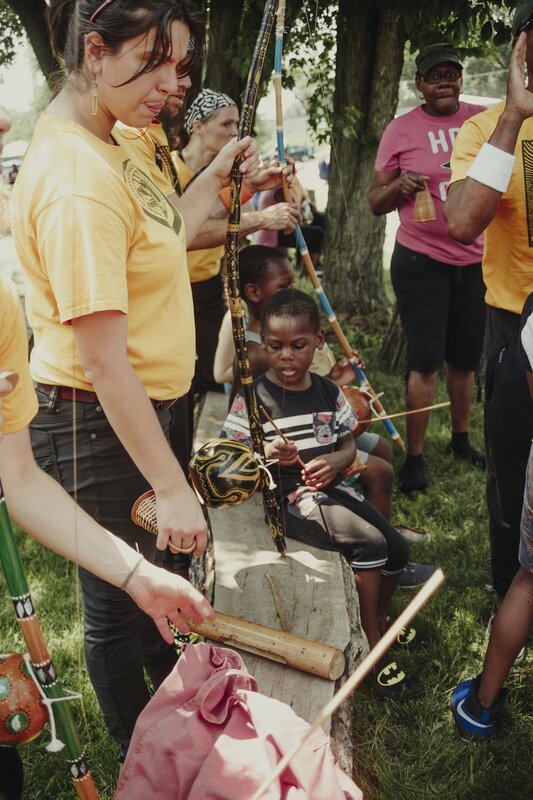 More than 400 people gathered at Sweet Water Foundation’s Perry Ave Commons to take part in an event that was profound, inspirational, transformative, and grounded in community and history. 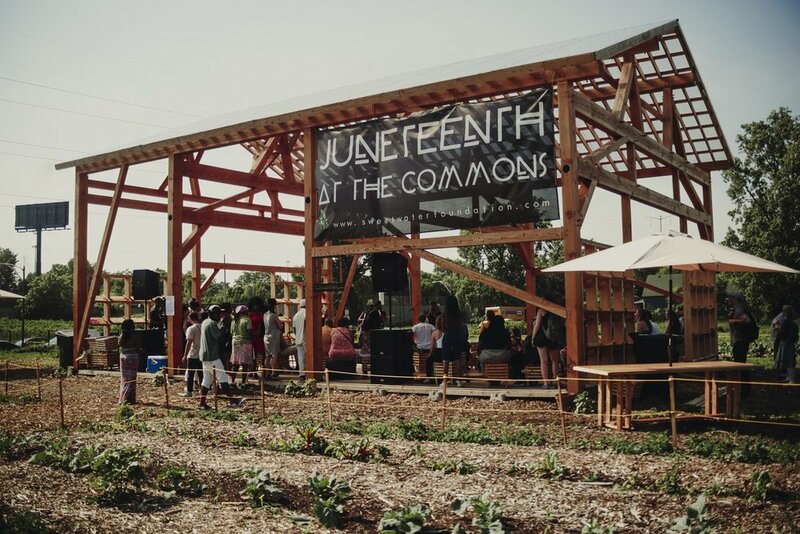 Read on to learn more about the significance of Juneteenth and the celebration at the Commons. 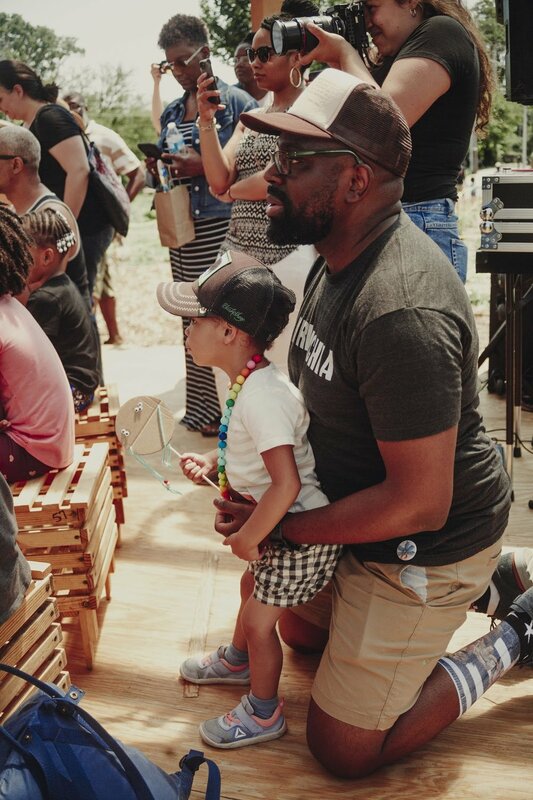 At its core, Juneteenth is about a celebration of freedom and community. The holiday commemorates June 19, 1865, the day on which the abolition of slavery was announced in the state of Texas, representing the true end of slavery in the United States of America more than 2 1/2 years after President Lincoln issued the Emancipation Proclamation. In the United States, the celebration of freedom and independence is most often associated with the 4th of July. There is no doubt that July 4, 1776, was significant in the history of our nation, but it is not a day upon which all Americans can reflect upon as a representation of freedom. 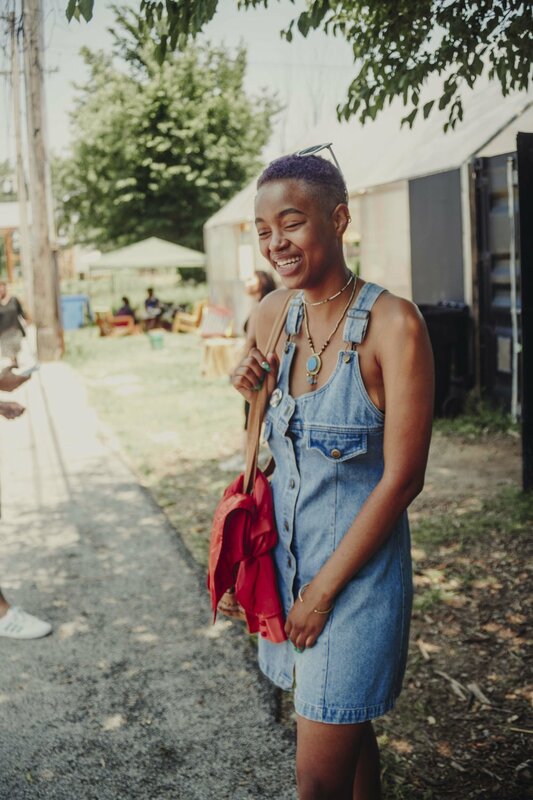 Juneteenth is a such a day. A day that all Americans can and should collectively celebrate in recognition of the moment all people in the United States were granted freedom. 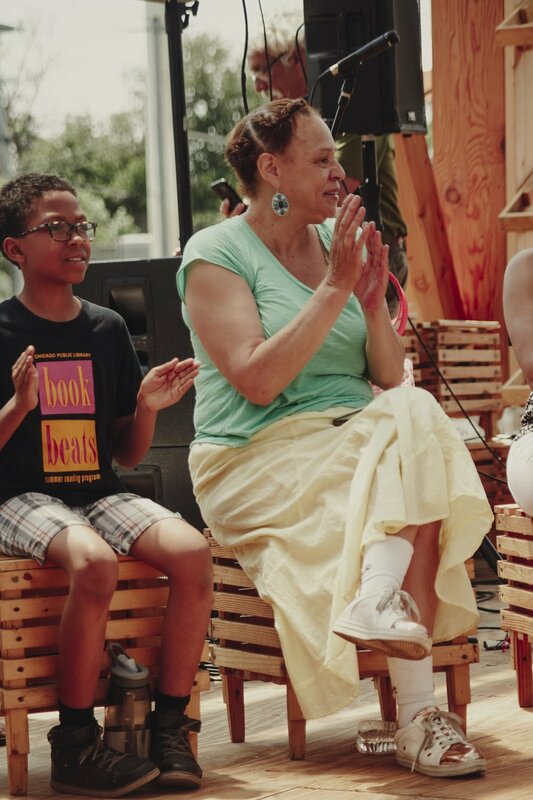 For Sweet Water Foundation, recognizing and celebrating Juneteenth is an intentional act of community-building focused on Radical [Re]Construction. 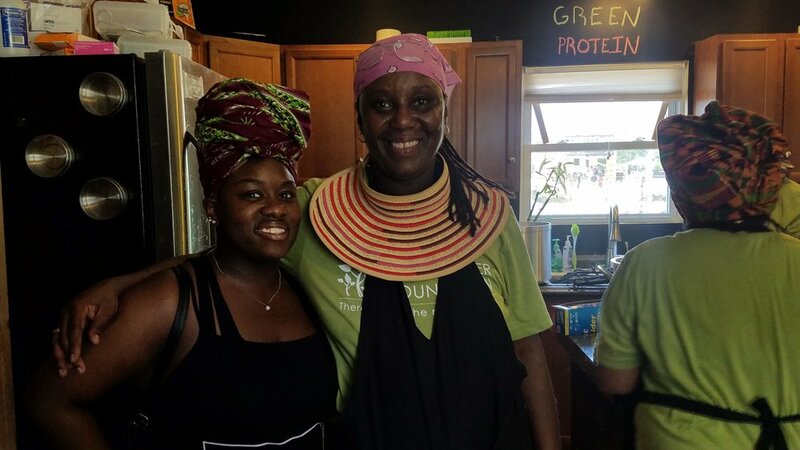 Radical meaning “of or restoring to the root” and [Re]Construction meaning the rebuilding and healing of our community. 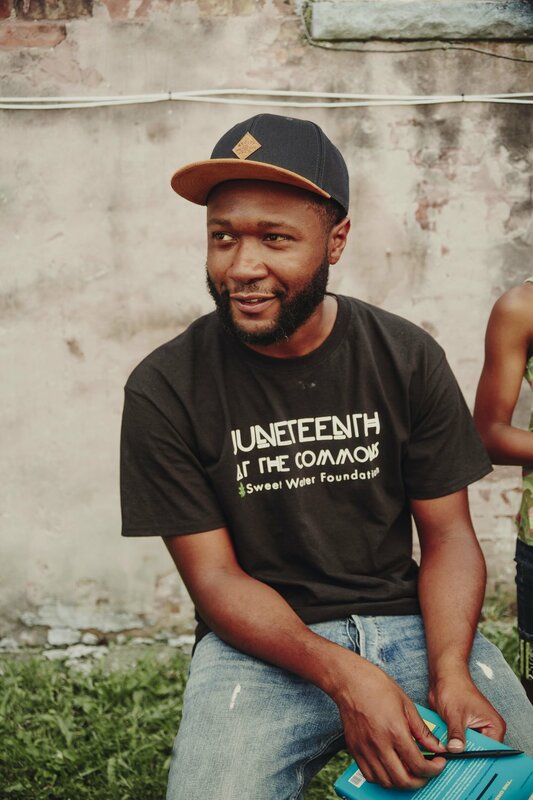 In 1865, after the original Juneteenth, the Reconstruction Era began. Reconstruction was a time during which African Americans had to learn how to navigate the world as free people. But how does one build their life in a world designed to exclude you? More than 150 years later, this question continues to be relevant for African Americans via systematic and systemic disinvestment, discrimination, hate crimes, and oppression. 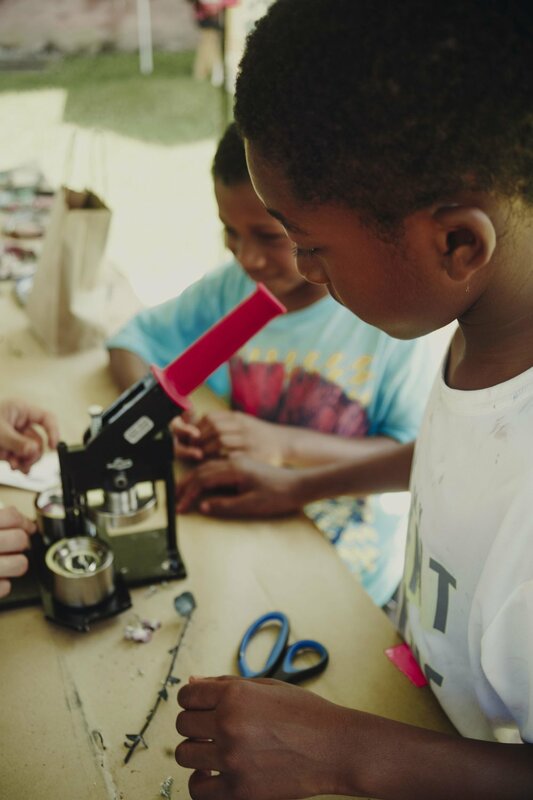 Given our current cultural, social, and political climate, we find ourselves amidst a new reconstruction era. 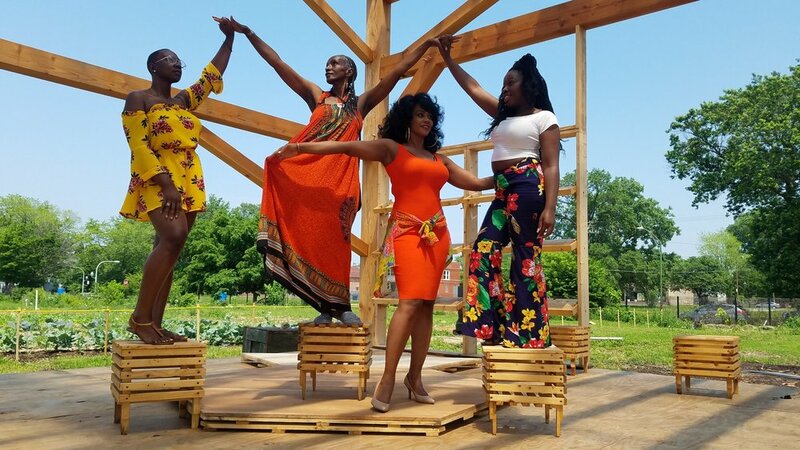 A Radical [Re]Construction era during which it is more important than ever to remember and honor the significance of Juneteenth to allow us to cultivate healing within and across communities and forge a new way forward. 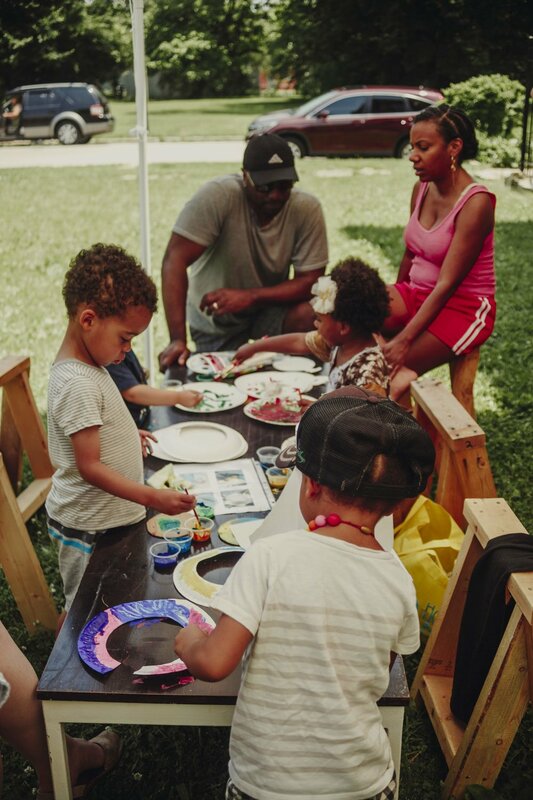 Through the intentional integration of food, art, music, building, play, and making place, Juneteenth at the Commons was curated to be an intergenerational event, providing families and community members of all ages with a space to re-envision both personhood and place, and travel from fragmentation to possibility and wholeness within self and community. 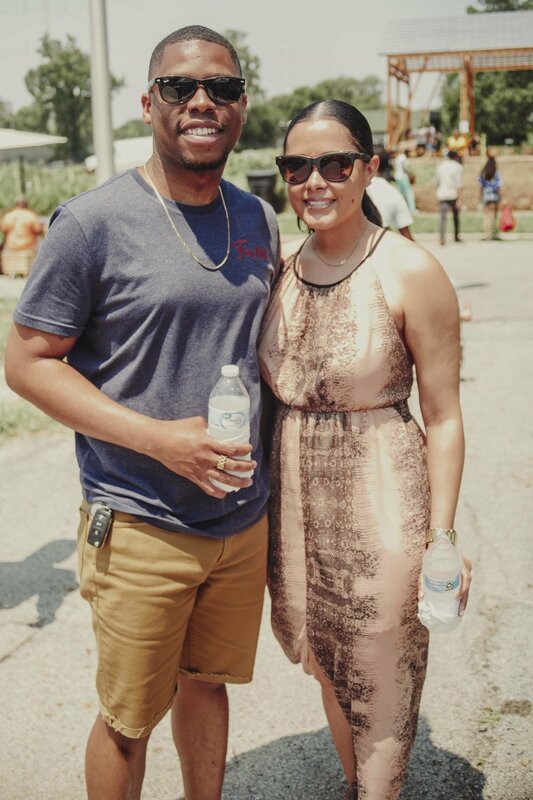 The First Annual Juneteenth at the Commons celebration took place on Saturday, June 16, 2018, with more than 400 people gathering on a blazing hot, 95-degree day to create, build, and celebrate freedom and community. 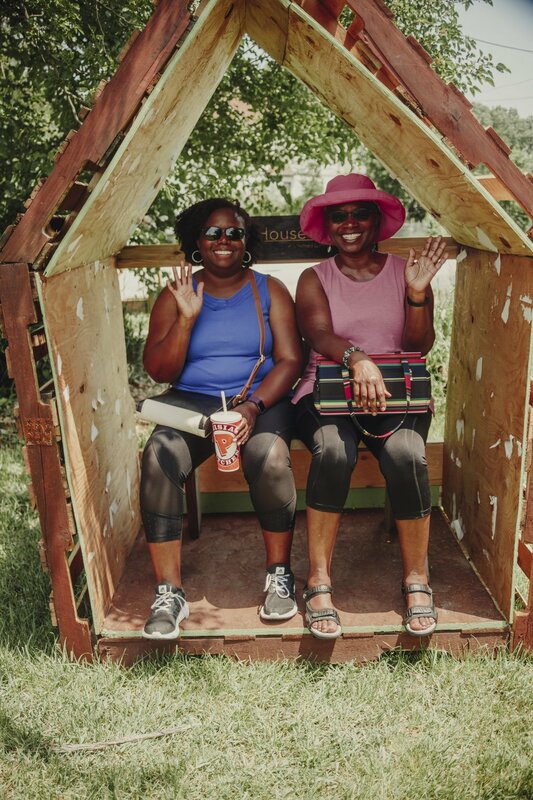 The Perry Ave Commons transformed from a tranquil, urban oasis of gardens, farmland, and community school to a vibrant festival with live music, workshops, food, dance, public art exhibits, vendors, and arts + crafts. 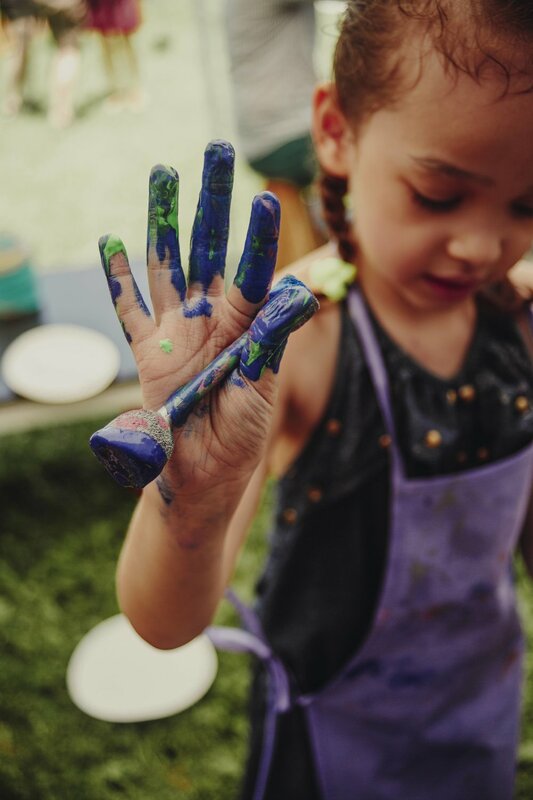 The pocket park adjacent to the Work-Shop became a family art, crafts, and play space complete with sprinklers, hula hoops, and sidewalk chalk for pure summer fun. 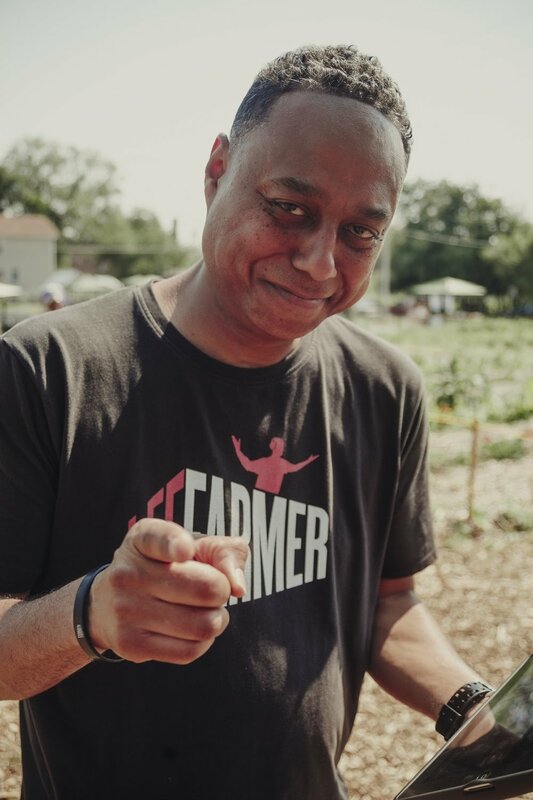 The community garden buzzed with people enjoying food, vendors, giveaways, chess, hands-on screen printing, and shaded gathering space. 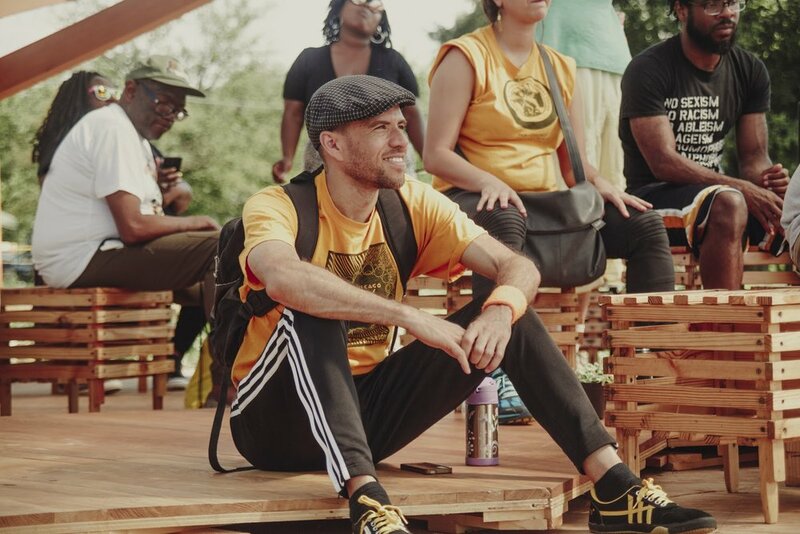 The Think-Do Pod showcased, We The Publics…, a public art installation that revisits the notion of the Declaration of Independence, seeking to document a manifesto capable of guiding the humans of America towards a sustainable future. 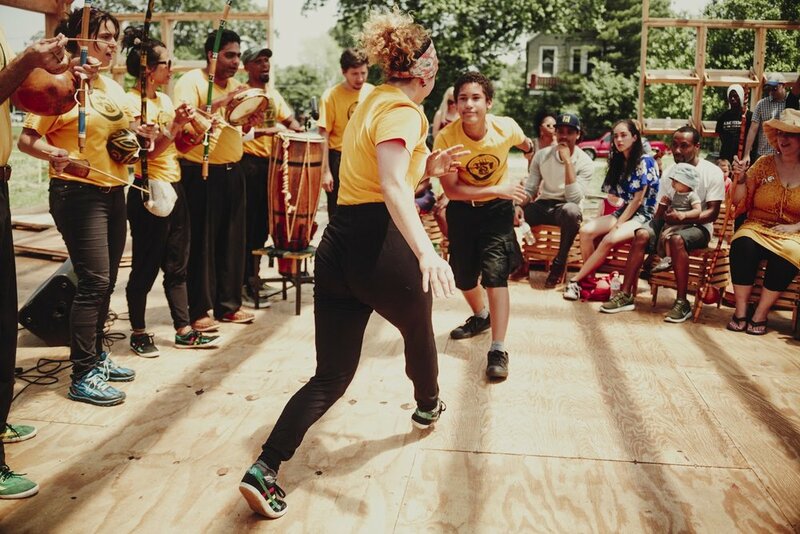 57th Place was closed to traffic so that kids of all ages could take part in double dutch, capoeira, enjoy a carefree stroll through the Commons, or sit and viewing performances in the Thought Barn while connecting with others. 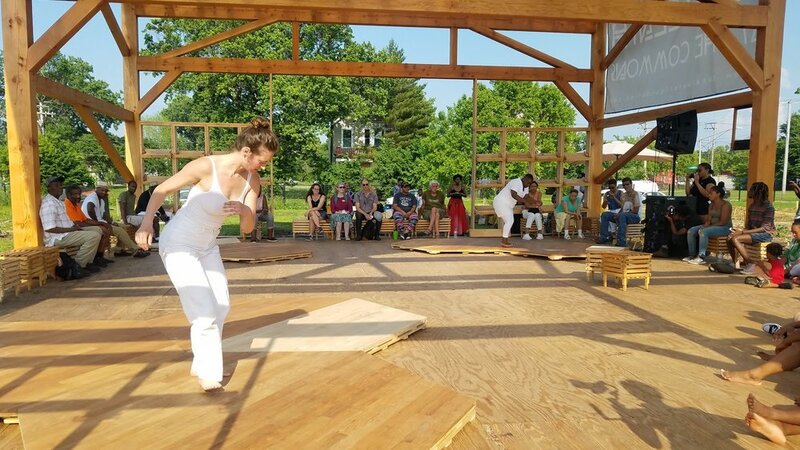 The Thought Barn - SWF’s first ground-up architectural building that has brought a visual and performing arts, reflection, and community gathering space to the heart of the Perry Ave Commons - took center stage with music and dance performances by DJ Kwest_On, Corey Wilkes, the International Capoeira Angola Foundation, and Project Tool dancers. 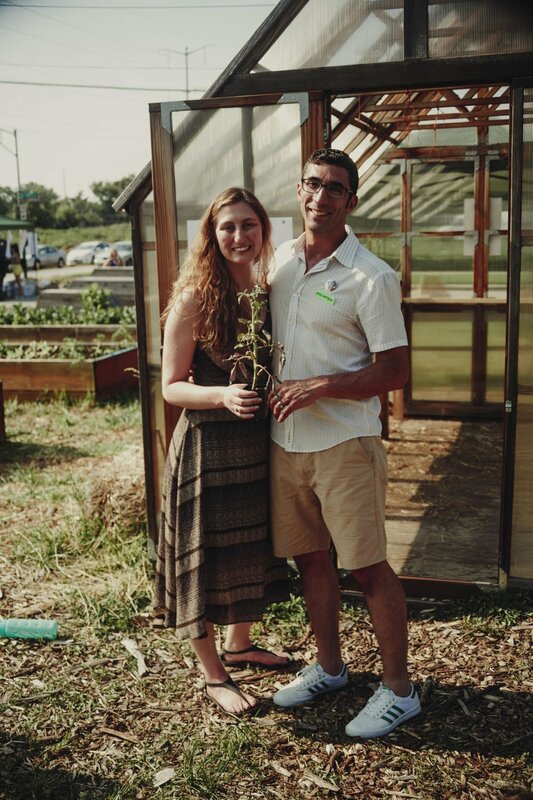 Every inch of the Commons brought forth a sense of community rooted in history with the hope of new possibilities. 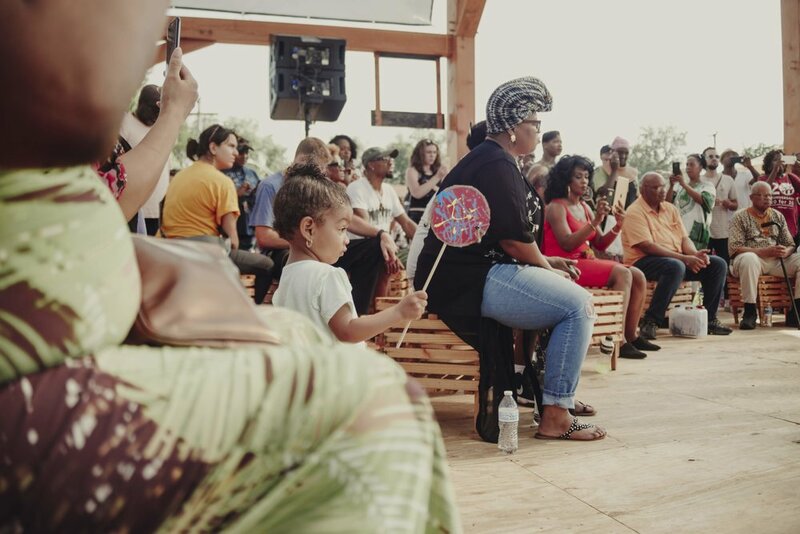 Amidst the celebration, the community was called to the Thought Barn to hear words on the historical importance of Juneteenth and the purpose and significance of the day’s event. 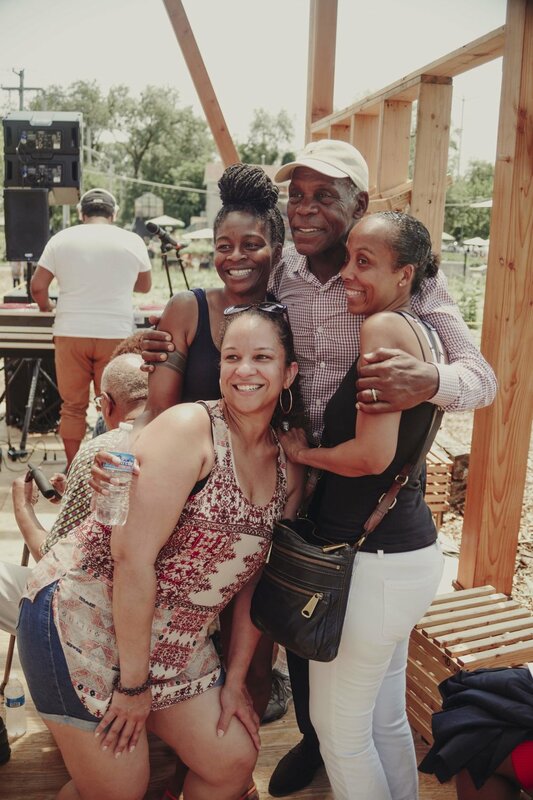 Words from SWF, Executive Director, Emmanuel Pratt, and activist, actor, and director, Mr. Danny Glover, a friend of Sweet Water Foundation, brought attention to the power of the people to create energy that restores light to spaces like the Commons. 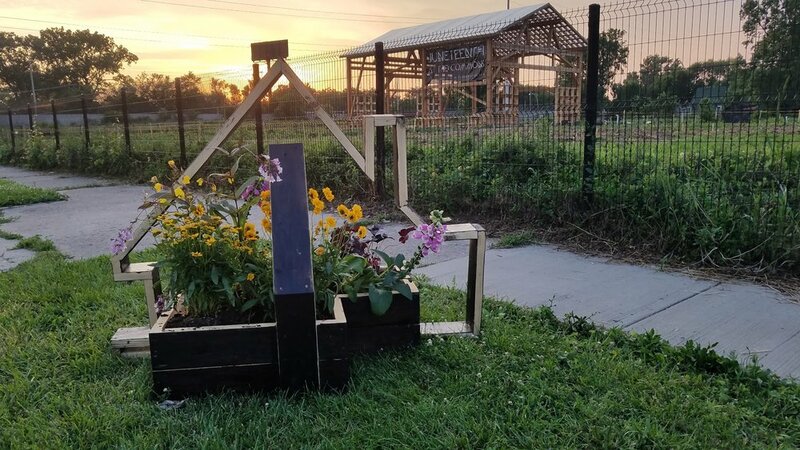 The Perry Ave Commons, which just 5 years ago was blighted and scarred, has been reconstructed by the community itself and serves as a beacon of possibility. 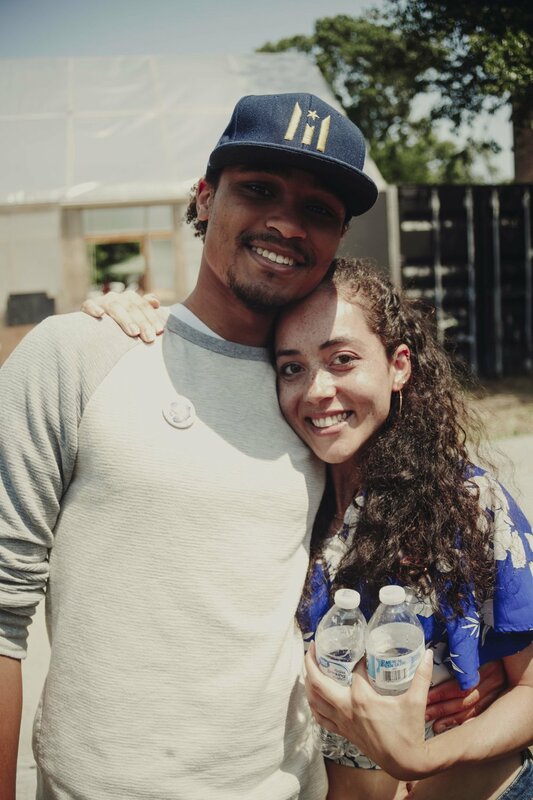 Mr. Glover likened the work of Sweet Water Foundation, the construction of the Commons, and the day’s recognition of Juneteenth to the struggles for freedom in South Africa and the Mauá Occupation, an organized fair-housing movement in Sao Paolo, Brazil that has reignited debate about whether urban development should aim at gentrification or help the growing ranks of people forced to live on the street and in the periphery. 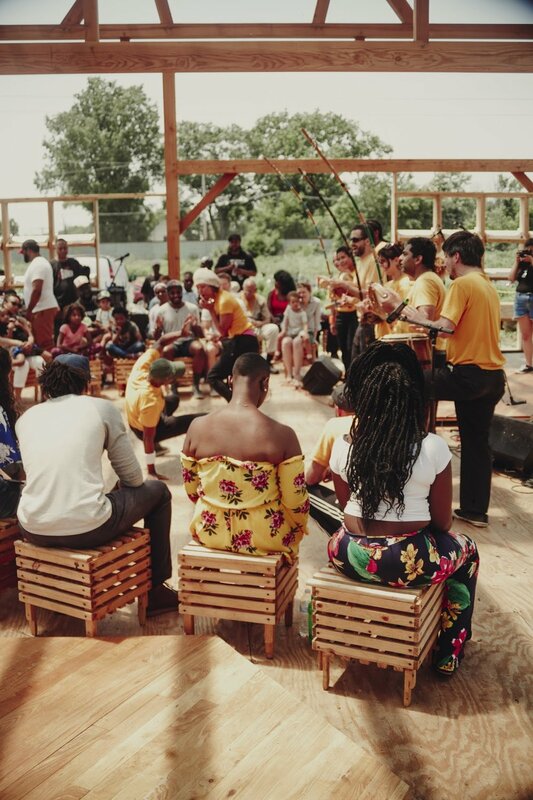 The First Annual Juneteenth at the Commons celebration was a true reflection of SWF’s vision for Radical [Re]Construction, bringing us back to our origins (radical) and seeking to remember, rebuild, and restore community. 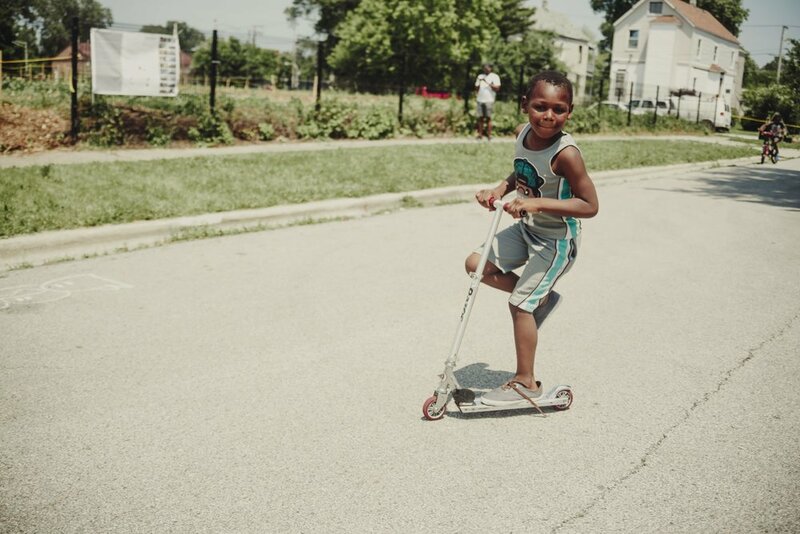 Sweet Water Foundation looks forward to making this a south side tradition for years to come. 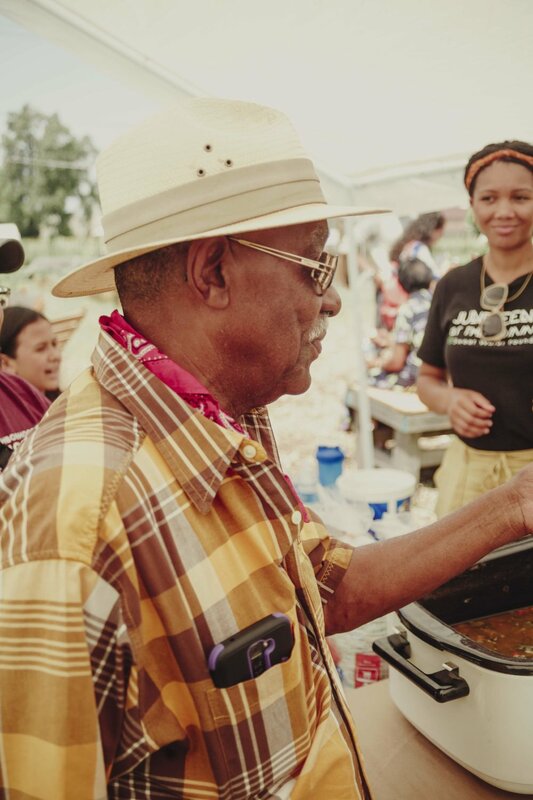 Our deepest gratitude to the people and organizations that made the First Annual Juneteenth Celebration at the Commons possible. 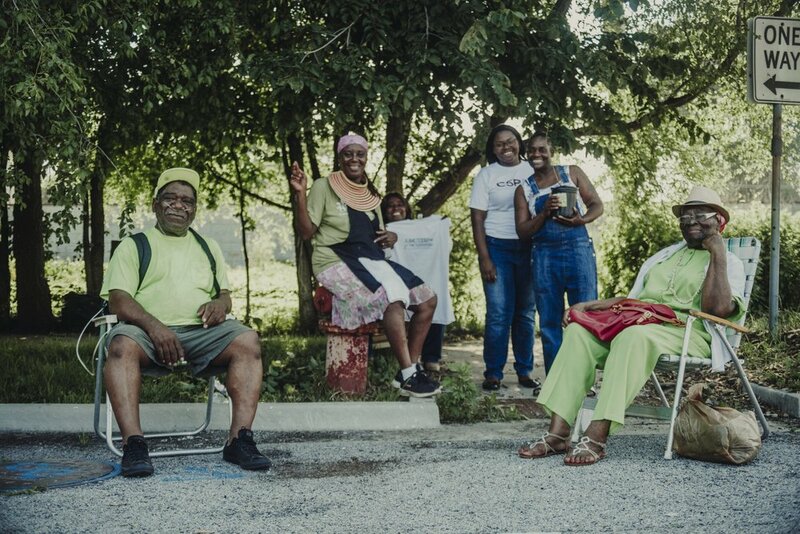 Rita Alvarez, Michael Christiano, Rose Florian, Michelle Nordmeyer, Ariana Oatman, Dejah Powell, Kolenda “Kokoa” Rattler and Family, Stephen Simpson, Joan Humphrey, Nicole Bond, Kathy Fitzgerald, Rita Alvarez, Josephine McEntee, Rodney Finley, Dorian Nash, Taylor Nash, Maya Nash, and many others. Keith Denson, Jordan Campbell, Jordan Graham, James Godsil, Stephen Haymes, Courtney Hug, Maurice Hursey, Lisa Kornick, Armani McCalister, Howard Perkins, Devontae Phillips, Dejah Powell, Emmanuel Pratt, Jia Lok Pratt, Rashaan Reeves, Richard Reeves, Micheal Reynolds, Malik Robinson, David Snowdy, Rudy Taylor, Mike Usher, Quory Watkins, Betty Williams, Orrin Williams, and Natalie Zepeda.